Resilience in the Limpopo Basin Program (RESILIM) aims to improve trans-boundary management of the Limpopo River Basin resulting in sustainable management and enhanced resiliency of people and ecosystems. RESILIM supports equitable access to water that balances urban and rural needs with ecosystem requirements under changing climate environments. This is achieved using an approach that is consistent with the programmatic and management objectives below and in line with the Limpopo Water Course Commission (LIMCOM) five-year plan for the Basin. 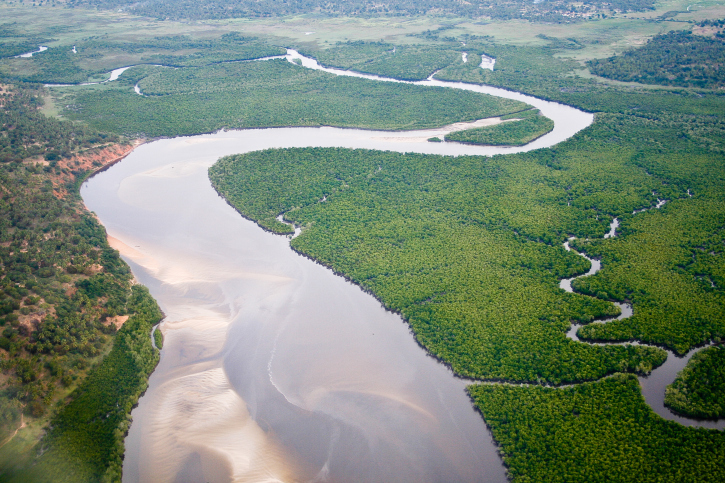 Reduce climate vulnerability by promoting the adoption of science-based adaptation strategies for integrated, trans-boundary water resource management. OSC’s communication expertise promotes: improved science, technology, and capacities for decision-making and the development of adaptation strategies in the Basin; improved water conservation and water demand management that responds to climate change; and integration of climate change adaptation strategies into long-term management plans and policies. Conserve biodiversity and sustainably manage high-priority ecosystems. OSC supports: improved natural resources management practices that mitigate threats to biodiversity; improved ecological integrity and resiliency to climate change for priority areas, including protected areas; and integration of climate change adaptation and biodiversity conservation into Basin water and resource management plans. Build the capacity of stakeholders to sustainably manage water and ecosystem resources. OSC focuses on: improved capacity within regional, national, and local governments to manage the trans-boundary Basin and formulate integrated water, ecosystem management and climate change adaptation strategies; increased knowledge and awareness of climate change impacts and adaptation measures; and increased knowledge and awareness of integrated and sustainable water management strategies and practices. OSC increases the awareness of the RESILIM program among the US Government (USG) and other stakeholders, effectively communicating key messages to promote informed planning and decision-making on decisions affecting the region’s natural resources. OSC is developing strategic communications plans, building local partner communications capacity, and implementing innovative communications campaigns help effectively raise RESILIM’s profile and disseminate project messages. OSC creates activities that reflect the different ways women and other marginalized groups utilize natural resources, with a special emphasis on building the capacities of local partners. OSC is developing communications strategies and building field staff communications capacity to further project objectives, including improved water management, adaptation for climate change, and increasing biodiversity in the Basin. OSC works to increase the awareness of USG and local civil society organizations (CSOs) of the RESILIM project and its objectives, including the importance of effective policies to increase capacity of host-country governments and local organizations for water resource management, and to increase CSO buy-in and participation in trans-boundary ecosystem management. OSC assists LIMCOM project staff in increasing awareness of project initiatives by targeting specific audiences, emphasizing main messages, and utilizing key media outlets. OSC is providing consultation throughout the life of the project to build capacity for internal communications, audience identification, stakeholder engagement, development of success stories and quarterly reports, and key message development for project communications.